Welcome! I’m grateful that you’ve taken precious time to visit my website and I invite you to linger a while. I pray that you’ll find in these pages a place of hope, beauty and refreshment...a little oasis of peace in this stress-filled, chaotic world. Many of us yearn to find a sanctuary where we can rest and renew--a respite where we can experience God’s presence and remember his promises and his goodness. My humble prayer is that you’ll find a hint of God's presence here, especially through the words and whispers birthed in silent reflection. It is my joy to share my musings with you in this space, and my ardent prayer that they will give you hope, consolation and encouragement. 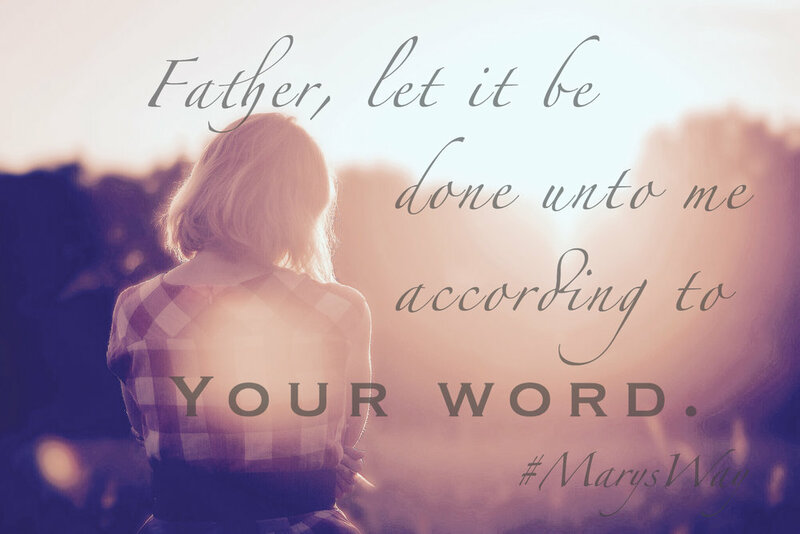 Click here to download a free PDF version of the Consecration Prayer from my new book, Mary's Way. 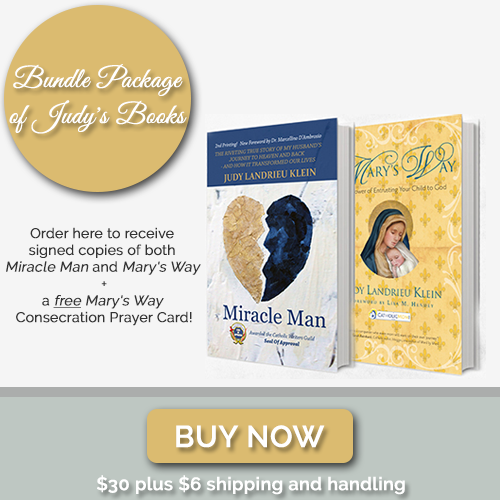 Please prayerfully consider donating to Memorare Ministries. Your contributions help this ministry continue to bring hope to others.